TS NTSE 2018 results, TS NMMS 2018 merit list Download. TS NTSE 2018 results, TS National Talent Search Exam 2018 selection list. Directorate of Government Examinations Telangana (DGE) to be announced NTSE (National Talent Search Exam) Results 2018. Many candidates are searching for this examination results 2018. All the required candidates can check and download from here.NCERT New Delhi the revised list of selected candidates with an extended number for second level (National Level/stage II) National Talent Search Examination who have appeared for NTSE November 2018 held on 04-11-2018 is kept in website gittpllbse.telangana.gov.in' for the information of the students and public. The state level National Talent Search (first level) Examination 2018 Notifications was issued by the office of the Director of Government Examinations, Hyderabad, Telangana on August, 2018. The State Level National Talent Search 1st level Examination for 10th class students will be conducted on 04-11-2018(Sunday) from 11.00 AM to 12.00 PM and and Second session from 2.00 PM to 4.00 PM in Telugu/ Hindi/ Urdu and English media at all the Headquarters of 10 Districts of in the Telangana State. BSE Telangana NTSE Scholarship Scheme Exam 2018, DGE Telangana National Talent Search Scheme , Exam Date, Hall Tickets,Answer key,Results of National Talent Search Examination details are given here. 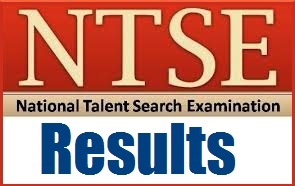 National Talent Search Examination answer key is released. Candidates who appeared for the NTSE talent test may waiting for the results. Merit list will be released soon. This examination merit list will be available on official website www.bse.telangana.gov.in. All the candidates who appeared for National Talent Search (NTSE) 2018-19 Examination on 4th Nov 2018 Can check here all state result. Scholarships are disbursed by the State Bank of India directly into the accounts of students on quarterly basis. Candidates can also find their marks sheet from various educational results websites like www.bse.telangana.gov.in , www.manabadi.com , manabadi.co.in , www.schools9.com , www.indiaresults.com. Candidates can check TS NTSE results 2018 by entering their hall ticket/roll number. It is here by informed that, as per the instructions of NCERT New Delhi the revised list of selected candidates with an extended number for second level (National Level/stage II) National Talent Search Examination who have appeared for NTSE November 2018 held on 04-11-2018 is kept in website gittpllbse.telangana.gov.in' for the information of the students and public. Hall tickets/Admission letter for National Level Talent Search Examination (NTS Stage II Examination) which is re-scheduled to be held on 16th June 2019 can be down loaded from the NCERT website www.ncert.nic.in in the month of May 2019. Telangana NTSE Exam Results- National Talent Search Examination Nov 2018 Telangana State (First Level) Qualified Candidates List. Directorate of Government Examinations Telangana state released the Telanagana National Talent Search Examination 2018/NTSE results and uploaded at official website www.bse.telangana.gov.in Candidates can check the results . Telugu Press Note Regarding Revised Result of NTSE Nov 2018. English Press Note Regarding Revised Result of NTSE Nov 2018.